Today, Key Club exists on more than 5,000 high school campuses, primarily in the United States and Canada. Growth efforts, however, have taken the Key Club experience internationally to Canada, the Caribbean nations, Central and South America, and most recently to Asia and Australia. 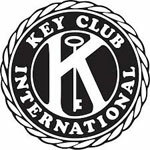 Originally, Key Club adopted as its motto, “We Build,” the same motto as its parent organization, Kiwanis International. In 1976, the organization opted to change its motto to “Caring – Our Way of Life” because these words more clearly conveyed members’ reasons for helping others.